28 May, 2016. It was a night that I will never forget. For the first time, I am running a 10km race with a group of friends (Let alone Will Run 2013 since it was a school event). The Sundown Marathon 2016 marks my second 10km long distant competitive run (after 2XU Compression Run in April) since I returned to running after taking a short break last year. Initially, I signed up for the run alone. It was until Yapz told me that the other girls and her were also running the same event (except Viv – she participated in the 21km run) on Twitter when I was complaining that I did not have much training leading up to the actual day. And so, we decided to run together in the end. 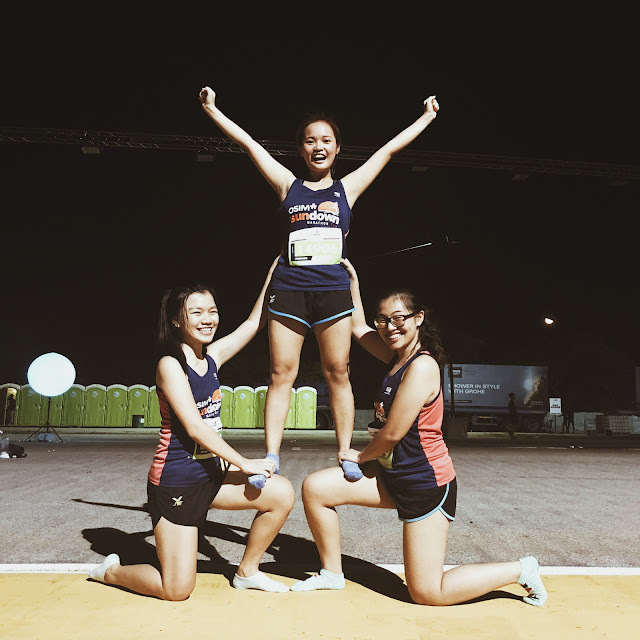 It kind of reminded me about running Will Run back in SRJC and the trainings we received almost every PE lesson. 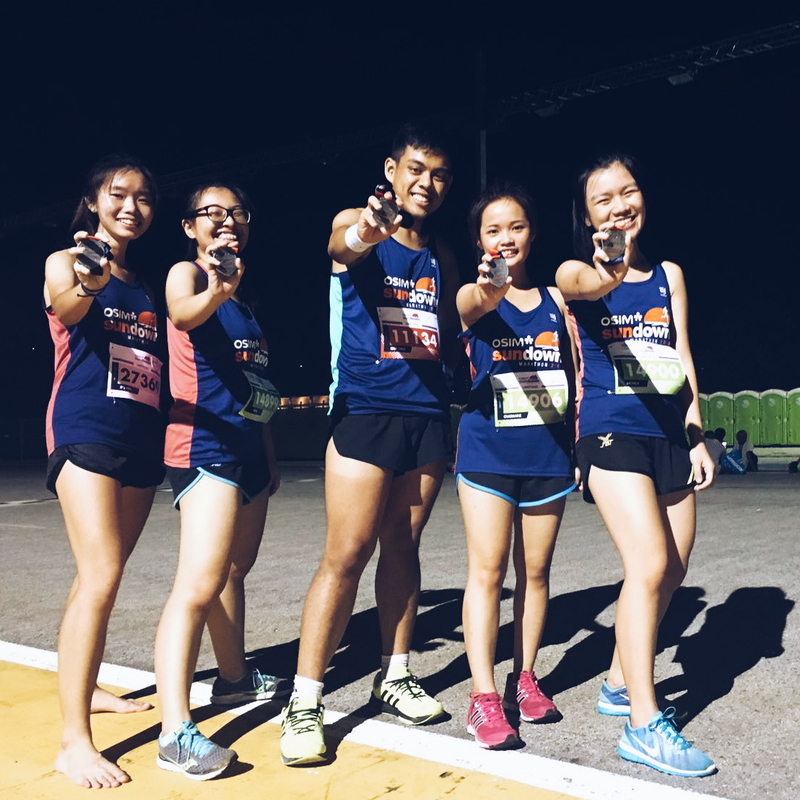 We took a photo before we headed to the 10km starting point. Oops, I think my shadow had kind of eclipsed Charmz face. The race supposed to start at 10PM but because there were too many participants that they dispatched us through different ‘waves’. I think by the time we started to run, it was already 10.20pm. The 4 of us basically ran in pairs: Charmz with me while Mich with Yapz. By the 1st KM, Charmz and I were separated from Mich and Yapz. Despite the early human congestion, we managed to squeeze our way to the front and avoided the bottlenecked route. While Charmz ran all the way, I needed to make a few timeout during the course of the race. Despite that, I was in a much better condition to run compared to during that 2XU Run. This time, maybe because someone was there to motivate and pace me, I managed to only brisk walked for just about 1KM. 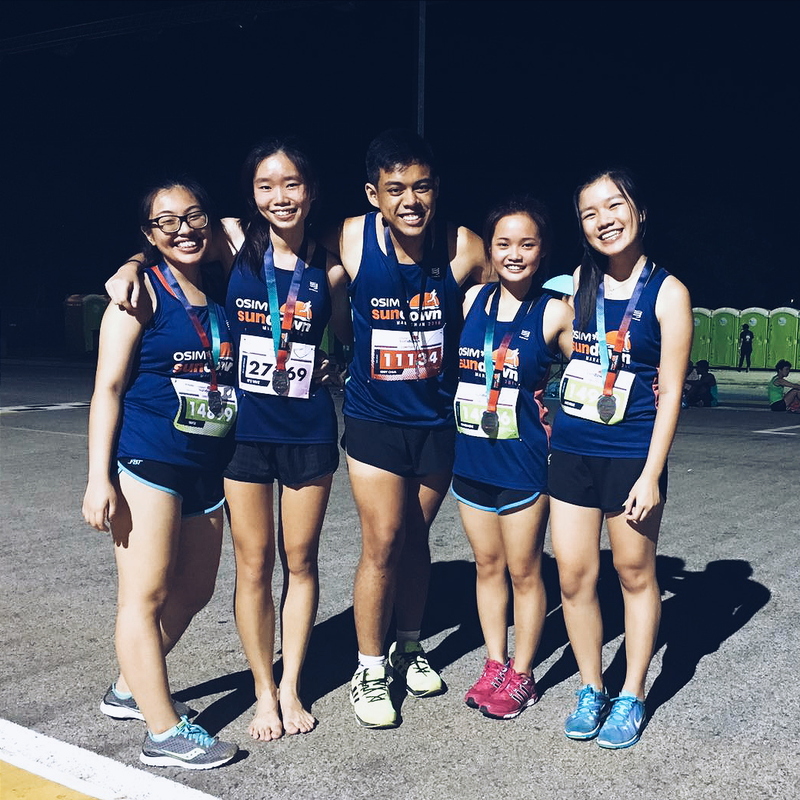 Maybe it’s beneficial to have a friend to run beside you during such event. We continued running and didn’t get to meet the other two girls until when we were on our final kilometer. While we were heading towards our final 100m, we decided to sprint all the way. I swear if I used that speed throughout the race, I would have been on a prize-winning journey (of course I am not that disillusioned into thinking that I could be a road champion). To be honest, I almost ran out of breathe and consciousness. By the time I crossed the finishing line, two things came to my mind: toilet and water. I needed to use the latrine and I was very much dehydrated. Here comes the horror story: the queue to the toilet was the longest queue (apart from the one during Lee Kuan Yew’s tribute last year) I’ve ever encounter. It felt like gravity was so strong that it was pulling everyone’s blatter and the contents in it. Charmz and I went to the toilet at Promenade MRT instead before we returned to wait for the other two to complete their race. We managed to meet with the Mich and Yapz back at the starting point. I went straight to the water station to gobble down a few cups of water before we find an area to lepak while waiting for Viv and Yapz’s bf (and his friends) to return from the 21KM race. While prostration had taken over us, we tried to squeeze that remaining energy and zest to enjoy the rest of the night. Because, as the organisers said, “The night is ours”. We didn’t want to waste the night. And so, it became a night of cheerleading, dancing and photoshooting. Ya. Cheerleading. I wasn’t even kidding. But I swear they looked legit though. We were so loud that the guy beside us decided to just take out his earpiece to isolate himself while he was reading his book. We were semi-conscious of our surrounding but I think our lassitude made us a little zappy. Despite that, I almost fell flat asleep in the middle the road where a Ferrari or a McLaren would have speeded past every September. Before I really fell asleep, Yapz’s boyfriend and his friends joined us after the run. I could here every pathetic whine they made because of their strained muscles. We couldn’t help but to laugh. Viv joined us a little later and she seems to be alright. Perfectly alright. We applauded her for her completion. And that means we can take a group photo with our medals finally at around 3.30AM. We just spent the entire night with one another. 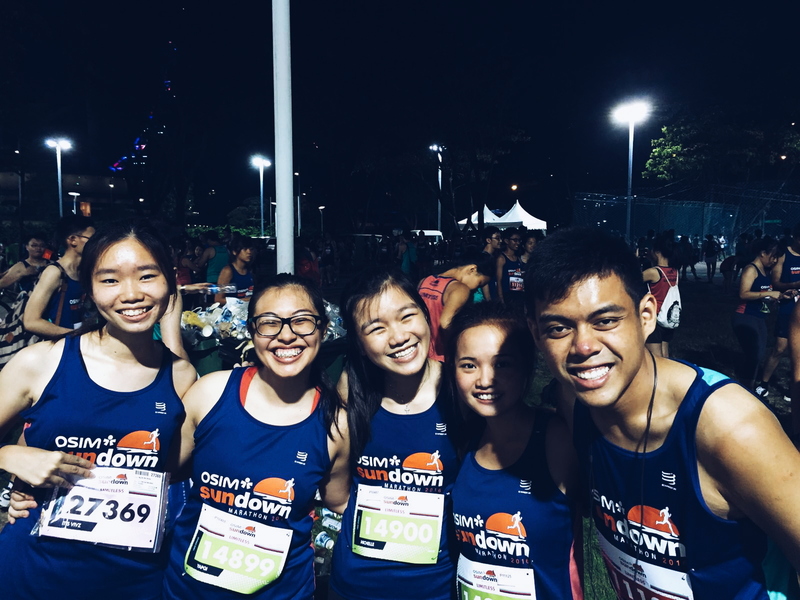 We might just decide that this might become our annual run, where we will all run for Sundown every year. I heard someone said that we could try 21KM next year. I am holding my breathe.